It’s apple season! 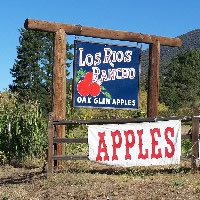 When my boys were younger, we’d make the pilgrimage every October to pick apples at Oak Glen. Even though Oak Glen is only 30 miles away, it feels like a real trip to the country. Fresh apple cider, apple pies lining the shelves at every cafe and diner, and “U-Pick” apple orchards. What could be better on a Fall weekend? These days our weekends are filled with football and preparation for the game–scrambling to get volunteers and making sure the equipment is all together after a week of practicing and school. Is Garrett’s game jersey clean? Why are his knee pads in the freezer? Did someone look up the directions to the stadium? Did you pick up the 4 cases of Gatorade? I thought you bought the ice! Well, you get the picture. If any of you have or have had kids in sports, you know what I’m talking about. 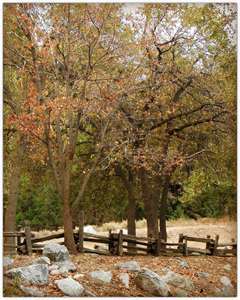 I don’t have time for a trip to Oak Glen this Fall. I don’t even have time to bake a pie. So what’s the next best thing? 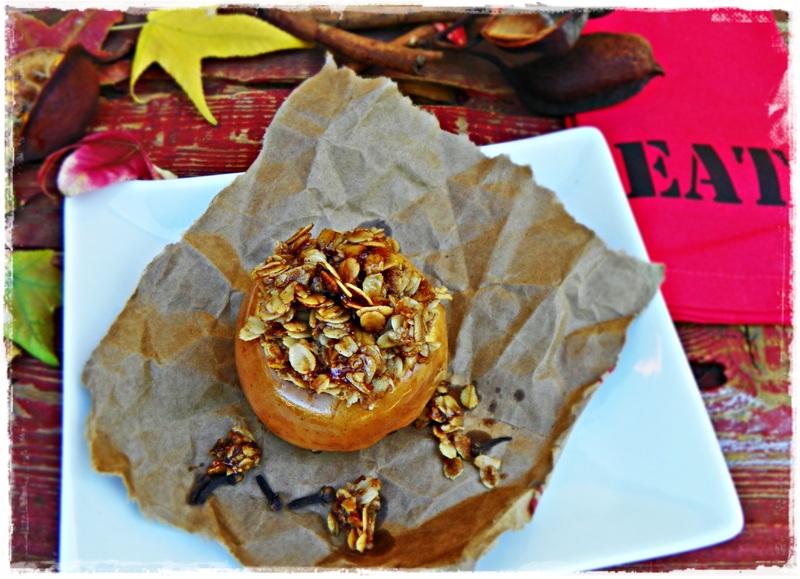 Easy baked apples! Yummy apple goodness. 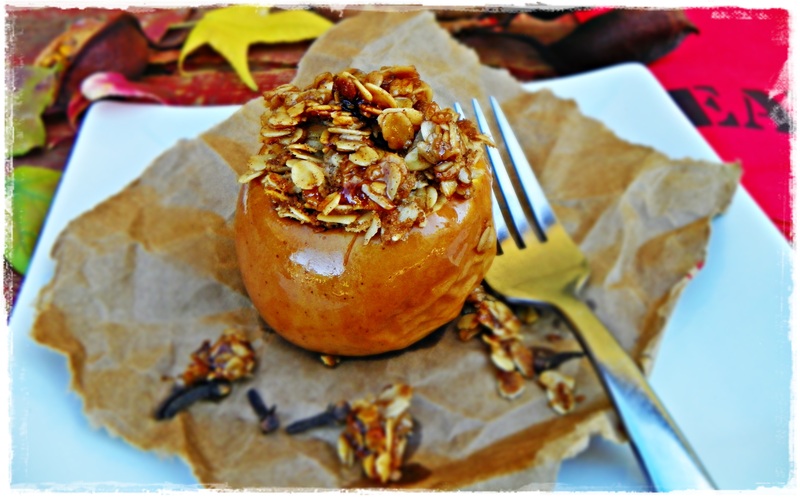 Baked apple with a toasty oat filling! 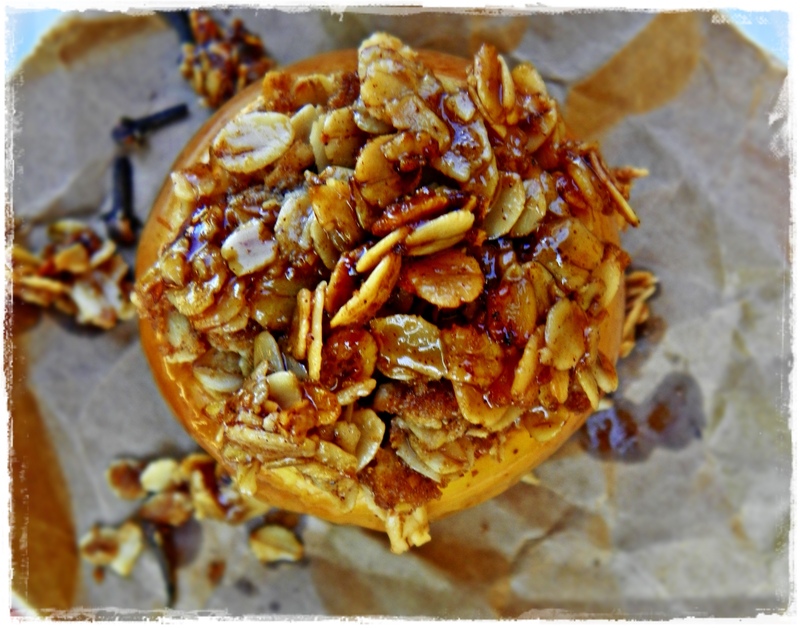 I’ve been experimenting with different baked apple recipes to find the perfect one to demo to the kids at the Prima Terra cooking class at Hawarden Hills Academy this Friday. I’m using Granny Smiths (Jonagold and Fuji held up a little better, but Granny Smiths really do have the best flavor when cooked) and stuffing the cored apples with an cinnamon oat mixture. They turned out beautifully–and the house smelled great, too! Cut the tops and bottoms off the apples (only about ¼ to ½ inch). Use an apple corer to carefully remove the central core of the apples. You can also use a melon baller to scoop out the core. Be careful if you’re using an apple corer—they are as sharp as knives! Place the apples in a baking dish (lined with foil for easy clean-up). In a medium sized mixing bowl, combine the oats, brown sugar, cinnamon, nutmeg and cloves. Add the butter and use a fork to mix it in. Divide the mixture into 4 portions and scoop into the center of the apples. There will be enough oat mixture to fill and top the apples. Cover the apples loosely with foil and bake at 350 F for 30 minutes. Remove the baking dish from the oven, remove the foil and return to the oven for 15-20 minutes more to crisp the topping. Carefully remove the apples from the oven and allow them to cool for 10 minutes before serving. Serve warm apples alone, or with a scoop of vanilla ice cream. ← Fake it ’til You Make It . . . These looks amazing…and apparently I will be making these for Ross soon! Thanks for the inspiration! Looks delicious!! I just might have to try making them myself. I’m sure the kids are going to love these at Hawarden. They are lucky to have you!! Awww . . . you’re sweet, Denise! Let’s make them next time you come over! I miss going to Oak Glen, too. Waaah! The apples look yummy!